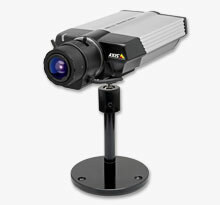 Network surveillance cameras for all applications. When Force Five Watersports needed to revamp their existing surveillance network they turned to Computer Assistance Services. We rebuilt their video camera network and optimized its functionality. We didn't have to replace the cameras. Computer Assistance Services on Nantucket Island, Massachusetts provides computer troubleshooting and small business computer networking services. We serve all areas of Nantucket and also provide services related to nantucket_wireless_networking.php, residential computer services, video surveillance, low voltage wiring, computer consulting and SONOS multi-zone audio installation and troubleshooting. Wireless networking is important for both home and business users. Computer Assistance Services provides reliable Wireless networking services on Nantucket, MA. There should be a strong wireless signal in all rooms of the house. There should be no dead spots in the wireless signal. Home computer users on Nantucket can experience many types of problems. Computer Assistance Services can provide computer troubleshooting and hardware repair. Many users have problems with computer viruses and spyware. We are experts in spyware removal and virus prevention. Many small businesses rely on their computer systems. Offices rely on e-mail, word processing, document sharing, reservation systems and other important computer systems. Users want remote access to their computer systems, mobility is emphasized as is efficiency. Computer users and businesses need to have reliable and efficient computer processes.